Tip #1: Create collections that you can add to or build over time. Your collections on Mix are always a work in progress. Rather than adding everything to them at once, add to them over time. So, every time you find an awesome link that you think is just right, click that orange plus icon and choose which collection you want to add it to. Save recipes or advice you love in one place. Tip #2: Don't add all of YOUR content at once. We love seeing your content on Mix, but we’d also like to see what type of other stuff you like to read. Add a couple of your own posts, and then add a variety of other blog posts from your blogging friends and other sites. We’d suggest that you want to keep a ratio of about 40% your own content, and about 60% from other sources. Tip #3: Use catchy names and add descriptions! Good collections include a variety of pages from different places and sources. They also continue to grow over time. Tip #4: Use our toolbar extensions! Our FireFox and Chrome extensions are a great way to quickly add content to Mix or to your collections from anywhere on the web with the click of a button. Tip #5: Follow people and collections you’re interested in. 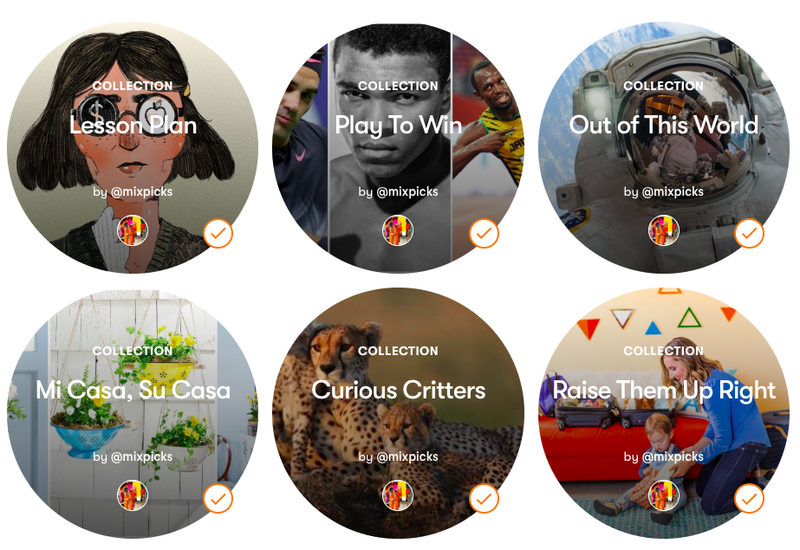 Following people and collections helps Mix learn what you like, to make your For You feed even more personalized. When you follow a collection from another creator on Mix, you’ll see new posts from this collection as you browse Mix.